Oh boy it’s looking like a hectic start of the week! Hopefully you didn’t have much trouble digging yourself out of the weekend’s snowstorm because there is simply too much to do! 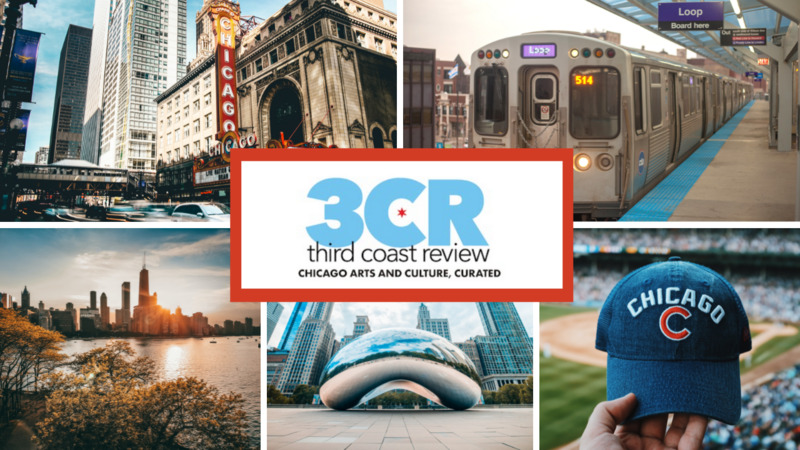 Tons of fun events including Chicago Black Restaurant Week, the auto show, concerts, art, Mardi Gras, Valentine’s Day and so much more! WHAT: The final show of this weekly series, which has been running since 2011, showcasing experimental work featuring an inclusive creative community throwing a great party! SO WHAT: Salonathon is coming to an end at Beauty Bar and they are going out with a marathon of festivities! It’s your last opportunity to feel the love of this fantastic underground, emerging, and genre-defying art showcase! The opening ceremony starts at noon and activities will include a performance workshop, a memory-sharing/ forward-looking conversation with the curators, a dance party, and other special appearances and surprises. You can check out the lineup of artists at their event page! NOW WHAT: Spend your day celebrating this amazing series! SO WHAT: Find the perfect gift for your Valentine this year at the 3rd Annual Who Wants Love? Pop Up Print Show. With the help of Tiny Bold Creative, eighteen Chicago designers & illustrators will be selling screen printed posters inspired by various student stories about love from 826CHI. NOW WHAT: Entry is free! All sales and donations go towards supporting 826CHI’s free tutoring, creative writing, and educational services for Chicago students. All posters are $20 and there will be additional 826CHI goods available for purchase! SO WHAT: After suffering a stroke Last November, there have been an immeasurable outpour of support for the recovery of the amazing rocker Scott McCaughey (Founding member of Young Fresh Fellows and musical collaborator with R.E.M., The Minus 5, Robyn Hitchcock & The Venus 3, Alejandro Escovedo, The Baseball Project, Tired Pony, and Filthy Friends). This show will add on to that support with friends who have played with Scott over the years celebrating his songbook! Some of those friends include Jon Langford, Nora O’Connor, Kelly Hogan, Dag Juhlin, Max Crawford, Susan Voelz, Jason Narducy, and Josh Kantor! Proceeds will go towards the medical fund set up by his wife, Mary Winzig, to help cover his medical expenses as he recovers. There will also be special auction items donated by the Chicago Cubs, Midwest Buy & Sell and others on display. NOW WHAT: As Scott sang, “Everyone with half a mind is gonna be there”, so you should be too! Tickets are $20 for this damn good benefit show! SO WHAT: Instead of an all-music lineup, this Free Monday at the Bottle will feature some wonderfully insane comedy (and a little music because it is Empty Bottle after all). Sarah Squirm, Chicago’s source of strange and unsettlingly delicious stand up comedy, will be performing with smattering of guests including NYC comedian Ruby McCollister, Chicago-based multi-instrumentalist producer Fire-Toolz, and VAIL! NOW WHAT: Get ready to laugh and be comfortably disturbed by this free night of weird comedy! WHAT: A Mardi Gras blowout! SO WHAT: This year House of Blues is going all out for their Mardi Gras celebration! They’ll have a Crawfish Boil for $29.95 (which includes hurricane or beer), a live brass band, ticket giveaways, live magic, palm readings, NOLA-style street performers, and so much more! NOW WHAT: Entry is free with RSVP! SO WHAT: The Flat Five are the super group that Chicago needs. Made up of Scott Ligon, Casey McDonough, Kelly Hogan, Nora O’Connor and Alex Hall, the band’s debut album It’s a World of Love and Hope is made up entirely of songs by Chicago mainstay Chris Ligon. Their sound is everything you could want from these music masters: sweet and twisted pop songs that will get stuck in your head. NOW WHAT: Tickets are $20 for this perfect Valentine’s Day concert! SO WHAT: There are few musicians as iconic as Selena and this evening is a perfect way to celebrate her undeniable talents and irresistible songs! Dance the whole night to Selena hits/cumbia selections and table designs by DJ Alive Girl. There will also be special Selena themed cocktails by the Punch House staff waitng or you. NOW WHAT: It’s free, so dance your Valentine’s night away! Tagged as: 826CHI, Ace Hotel, beauty bar, Carnival of Mardi Gras, empty bottle, evanston space, Fire-Toolz, Hideout, House of Blues, Punch House, Ruby McCollister, Salonathon, Sarah Squirm, Scott McCaughey, Selena, The Concert for The Emperor of the Bathroom: A Benefit for Scott McCaughey, The Flat Five, Tiny Bold Creative, VAIL, Who Wants Love?